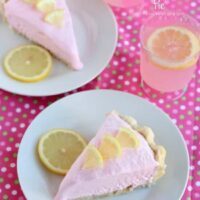 Frozen Pink Lemonade Pie - Dessert Now, Dinner Later! 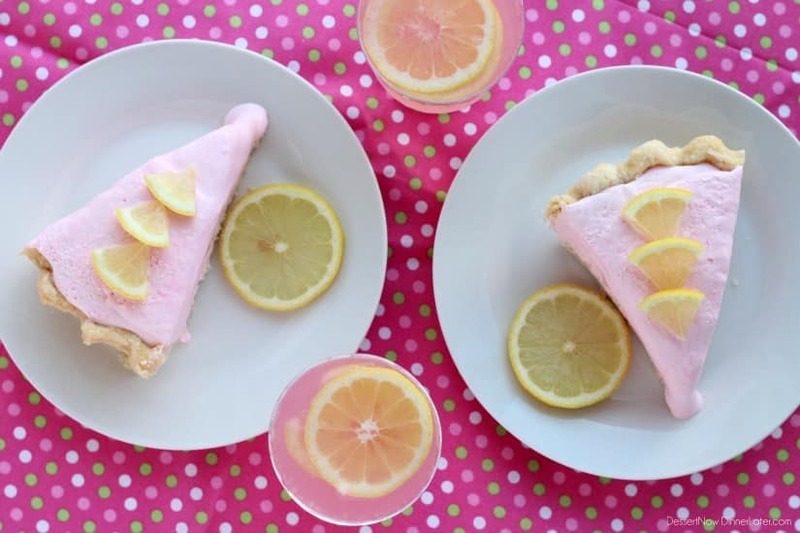 Sometimes summertime just calls for a big glass of refreshing lemonade! 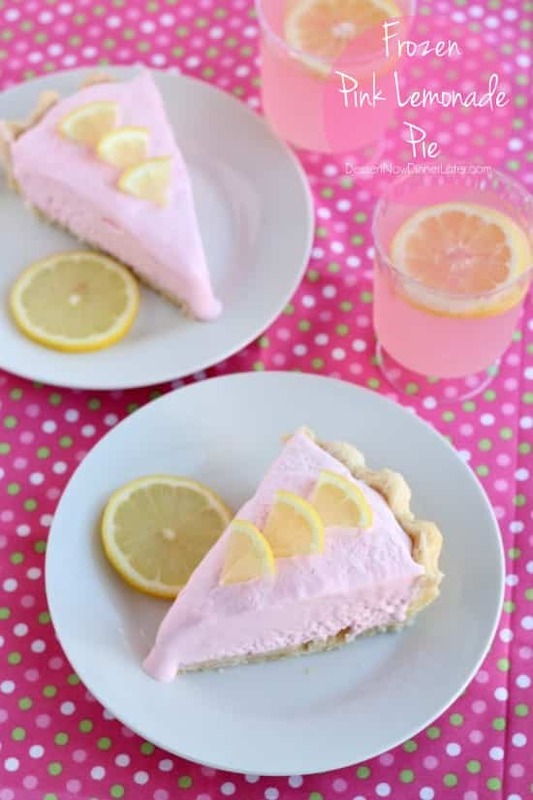 Well, how about I told you, you can now get that refreshing lemonade in a Frozen Pink Lemonade Pie? 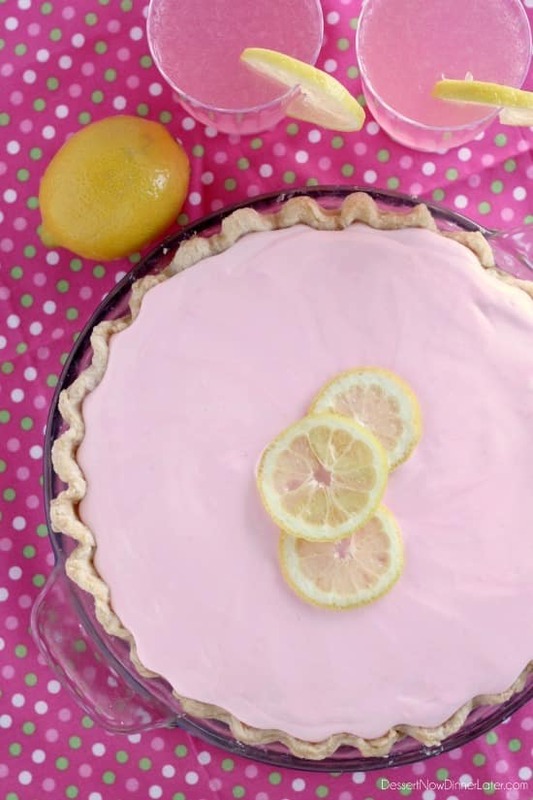 This pie, once it’s set up and frozen, is almost like eating sherbet in a pie crust! It’s smooth and refreshing and the pink is so fun. It would even be great for a girl baby shower! You can totally buy your pie crust from the freezer section and bake it off, or you can alternately follow my easy pie crust tutorial which tells you how to blind bake a crust for this kind of recipe, or opt for a store-bought graham cracker crust. The crust options are limitless! I even thought of doing a golden oreo cookie crust. YUM! 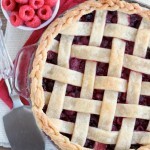 You will want to eat this pie inside, because it gets soft fast, but don’t let that stop you from making it! 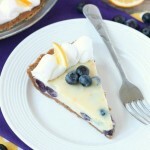 It’s an absolute lemon dessert pleasure! Enjoy! Beat cream cheese in a large bowl, with an electric mixer on medium-high speed, until fluffy. 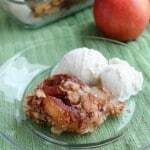 Gradually beat in the sweetened condensed milk, lemonade concentrate, and food color, if desired, until blended. Fold in whipped topping. Pour into prepared crust. Freeze for 6 hours or until set (overnight is best). 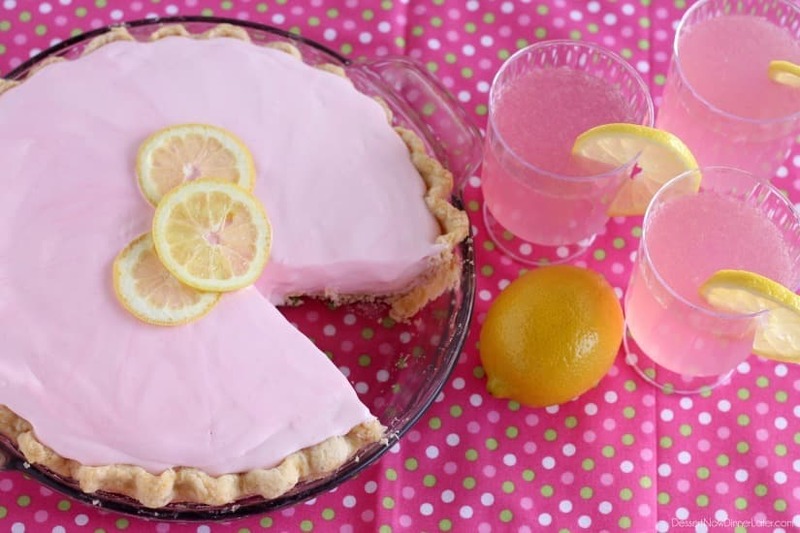 Slice and serve immediately garnished with lemon slices, if desired. 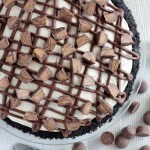 Oh my goodness this looks SO yummy! And I love how simple it is–perfect for summer! It is almost like sherbet, so it’s pretty tasty! Thanks so much! Headed over to check out the roundup!